St. John’s Cliffs (also known as St. John’s Ledges) are rock formations near the border of Kent and Cornwall, CT. The Appalachian Trail goes along the base of the cliffs and then up around them with some of the most challenging trails in the state. If you are traveling northbound on RT. 9 and look to your left you can see the ledges right across the Housatonic River. The cliffs were named after Timothy St. Johns, who originally owned the property in the 1800’s, the land is now owned by the National Park Service. If you are coming for the climbing, it’s mostly top-rope and traditional climbing, and consists of two separate climbing areas. The elevation is 950 ft. If coming for a day hike, you can climb to the top which takes you past the cliffs themselves. It is a steep climb, but has always been well maintained. A word of warning, there are some steep drop-offs, so if you do not do well with heights, it may be wise to skip the trail up. If you are up to the challenge, a gorgeous scenic view of the valley awaits, and you can climb further up to Caleb’s Peak for an even better view of the surrounding area. 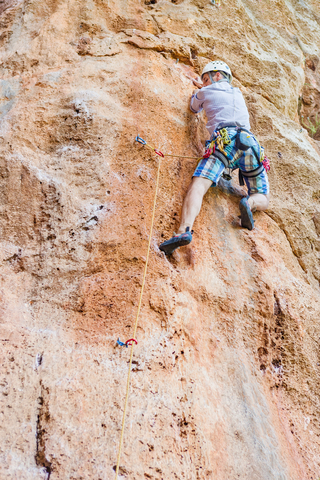 The ledges are a hot spot for local climbers because it’s known for having some of the best long slab climbing in Connecticut, so if hiking or climbing isn’t your cup of tea, pack a lunch and come and watch local climbers challenge the faces. For the hikers that would like a little more scenery and less of a step challenge, there is a dirt road that follows the Housatonic River for several miles with some lovely views of the river, and several small trail offshoots to check out. The ledges are a beautiful place to check out in the fall as the views from up top are incredible during foliage season. Be sure to bring a camera (or your smart phone) to catch some terrific pictures. If hiking the Appalachian Trail from Kent (a 3.5 – 4.5 hour hike), visit https://www.alltrails.com/trail/us/connecticut/appalachian-trail-st-johns-ledges-to-glacier-rock for a trail map. 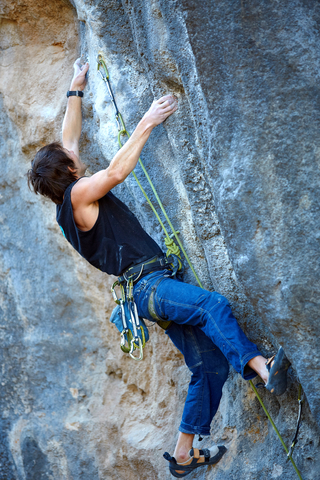 If you are a climber, visit http://www.summitpost.org/saint-john-s-ledges-5-2-5-10/245850 and https://www.mountainproject.com/v/st-johns-ledges/107642501 for some climbing tips/points on the ledges. From Kent center, head west on Route 341 and over the bridge. Immediately after the bridge make a right onto Skiff Mountain Road. After approximately a mile bear right onto River Road. Which is a dirt road. Go 1.6 miles until you reach the parking area on the left. Follow the white-blazed Appalachian Trail from parking area. To reach the lower climbing area look for a trail, on the left, 35 feet past the trail mapbox. To reach the upper climbing area, stay on the Appalachian Trail until it passes directly by the bottom of the cliff. The Dutchess County Sheep and Wool Growers Association, 501(c)3 promotes year round events that focus on farming fiber and food. Their premier event is the New York State Sheep and Wool Festival. Kent Connecticut, the #1 town in New England for fall foliage is hosting the 40th annual Pumpkin Run on October 30. Entertaining for participants and spectators alike, the fun begins at 11:15 with a kids “Fun Run” that is followed by a 5 mile run at noon. In the Halloween spirit, many prizes are awarded for costumes as well as for finishing times. The gorgeous course has its own reward at the end as all are invited to the Post-race Party with great food, face painting for the kids and gift certificates from Kent’s charming shops.